Hi all! How’s your 2015 so far? I’ll have to start with a teeny tiny bad news. Bad news for me personally, but good for devout Catholics in the country: the Pope will be arriving in Manila later today, but due to his arrival and activities here, several roads will be closed. Including our road. Yep. 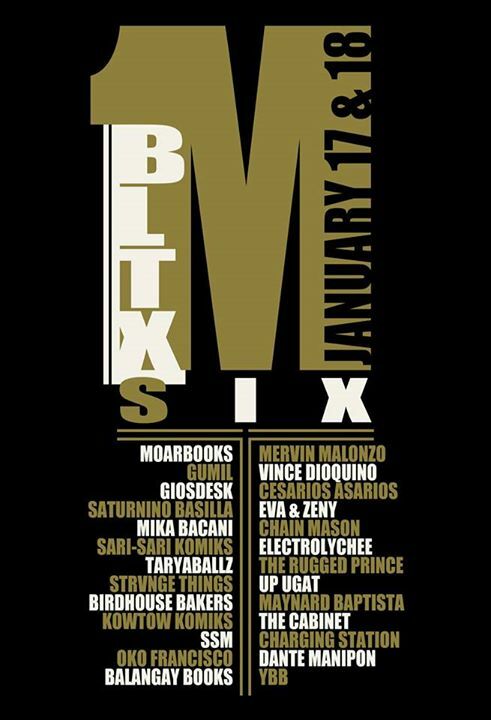 Due to this, I will be missing out on BLTX6 (January 17-18) at Uno Morato in QC. Click here for event details. Do check it out if you are in the area. The books that will go on sale include Chasing Tales from MoarBooks, which contains a story of mine called “Fairy Tales”, appearing in print for the first time; and the Cabinet’s Revival Issue, which contains a new poem of mine that has not appeared anywhere else, offline or online. 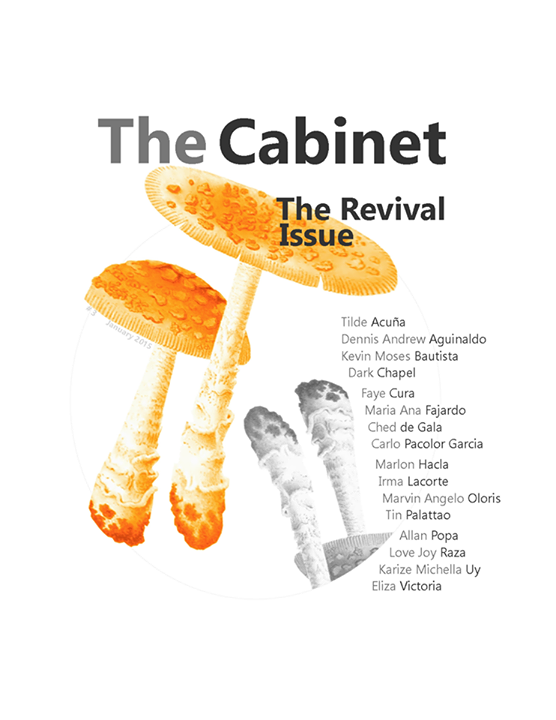 Update: The Revival Issue’s launch has been moved to Jan. 24, 5:30 PM, Uno Morato. 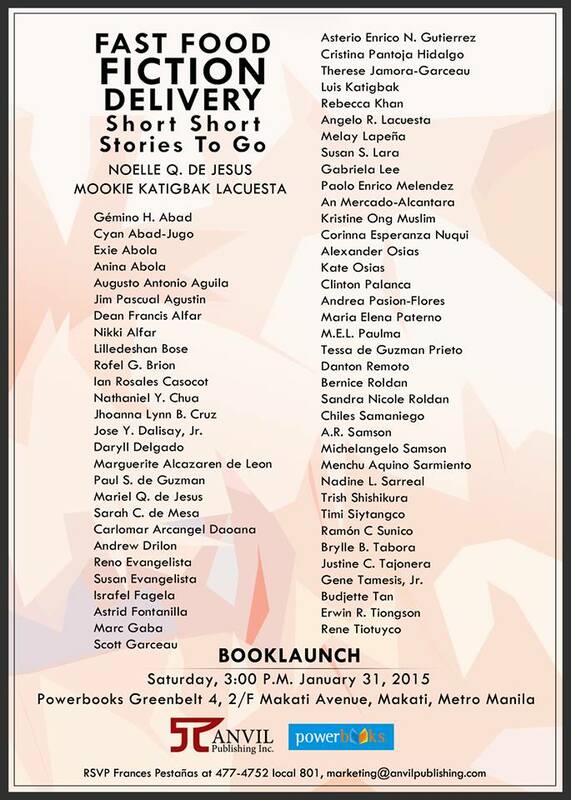 But before January ends, I will be at the launch of Fast Food Fiction Delivery, a flash fiction anthology edited by Mookie Katigbak-Lacuesta and Noelle Q. de Jesus. See you on January 31, 3 PM at Powerbooks Greenbelt! This entry was posted in books, poetry, writing. Bookmark the permalink.